Union Public Service Commission has released notification for National Defence Academy and Naval Academy Notification 2014. NDA NA Examination Syllabus & Exam Pattern 2014 available on its official portal www.upsc.gov.in. UPSC will conduct the NDA & NA Examination on 20th April 2014. All those candidates can check their UPSC NDA & NA Exam Pattern & Syllabus available here. 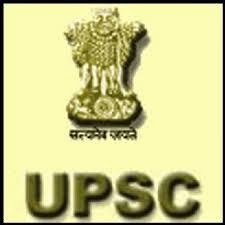 All those applicants are advised to can check their UPSC NDA NA syllabus & Patter 2014. UPSC is going to conduct the NDA & NA Examination on 20th April 2014. There are two sections in UPSC NDA NA Examination 2014. First Section consists of multiple choice questions of Math and carries 300 marks and the remaining section consists of general ability test questions for 600 marks. NDA and NA 2014 Exam duration is 2:30 Hours.